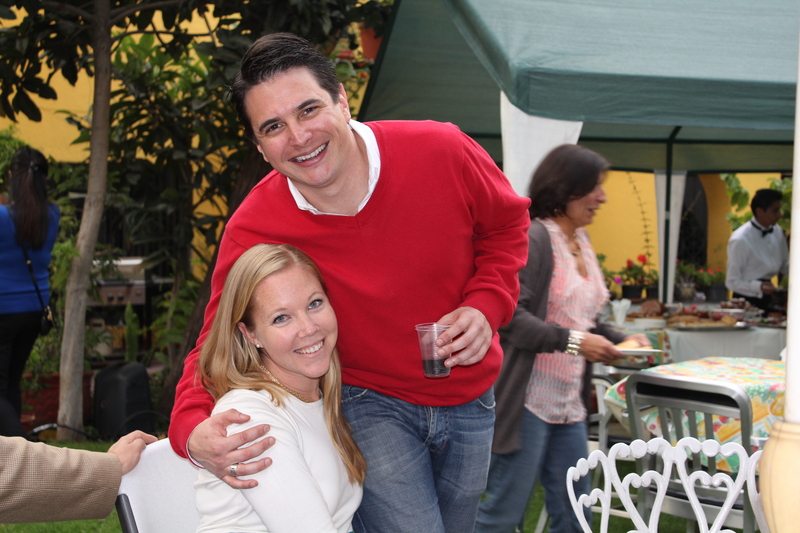 Not surprisingly, it was in my time in Mexico that I fell deeply in love with Mexican food. Now, let’s be clear here, it wasn’t love at first sight – in fact I was pretty apathetic towards Mexican food when I first arrived. However, over time my attitude gradually began to change. The more I was exposed to it, the more I learnt about the varieties, the more I understood the sometimes subtle differences and often complex flavours – my apathy gradually grew into a strong love. One of my favourite dishes that I discovered in Mexico was Cochinita Pibil – a wonderfully tangy, pulled pork dish that originates from the Yucatan Peninsula. 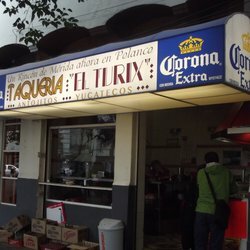 And as luck would have it, our apartment in Polanco, was a 2 minute walk from Turix, one of the best Cochinita Pibil places in town (or so they say)! Traditionally Cochinita Pibil was cooked underground with hot stones (similar to how the Andeans in Peru make their Pachamanka – See here). In fact ‘pibil’ means ‘under the ground’ in Mayan and like the Peruvian Pachamanka, the Cochinita Pibil is a dish that combines ancient ways of preparing food, with European influences. So in a nostalgic moment last week – I decided that I was going to bring a bit of Mexico to Brazil by making Cochinita Pibil. There are lots of recipes on the internet on how to make this dish, but after trawling through at least a dozen websites, none seemed to be the ONE –they were either too complex or just too Americanized. So instead I took all the elements I liked from each recipes I found, and made my own version. I have to say, I am incredibly happy with the outcome. The ingredient list may be long, but it is pretty straight forward and easy! There is only one essential ingredient which cannot be substituted and that is achiote paste. Or, if you manage to get hold of some achiote/annatto seeds, you can make the achiote paste from scratch, which is what I did. I made the paste following the recipe from The Spice House website, and was pleased with the results (Link to achiote paste) However as it is so much work to do, I would double the quantities that they mention and store the remainder for another time. As mentioned the cooking process is pretty straight forward – however it takes time. You need at least 12 hours to marinade the pork, and then allow 8 hours for the pork to cook in the slow cooker – after all we are trying to recreate an underground oven – so plan ahead! First, with a sharp knife pierce the pork shoulder repeatedly in all side – this will allow the marinade to have more surface area to enter. Place the pork in a large ziplock bag or large glass bowl. Then, in a small skillet dry roast the oregano and cumin seeds, shaking the pan repeatedly to prevent burning. Once the colour has deepened and there are slight wisps of smoke forming, remove from heat. Place the toasted cumin and oregano in a blender, along with all the other ingredients for the marinade. Blitz for a few seconds, until you have an almost smooth bright red liquid consistency. Note if you are using store bought achiote paste, make sure you crumble it into the blender. Pour the marinade into the ziplock bag with the pork. Message the marinade and the pork together thoroughly. Leave to marinade over night – or at least for 8 hours. From time to time message the pork and turn it over. Place the thick cut onions at the bottom of your slow cooker – this will act as a form of bed for your pork. The pork at this point should be incredibly tender and start to collapse on itself once touched. With two fork, start pulling the pork to thin shreds and continue to mix it in with the juices. Then let the pork stand in the juices until you are ready to serve. ha ha – yes! 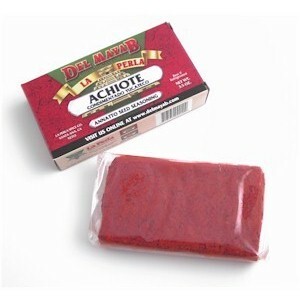 I will bring some achiote paste with me, although it would be interesting to try it with tamarind! Pingback: Mexican Pulled Pork – Cochinita Pibil | The LCHF Club! There is an English expat in Rio who also wrote a very interesting post about cochinita pibil. Thought perhaps you’d enjoy it. Thanks Alex so much for stopping by – glad you enjoy the blog, and thanks for sharing Eat Rio, I hadn’t come across it before, but I am enjoying browsing through it!